A quick hitting storm system can be expected for Friday. 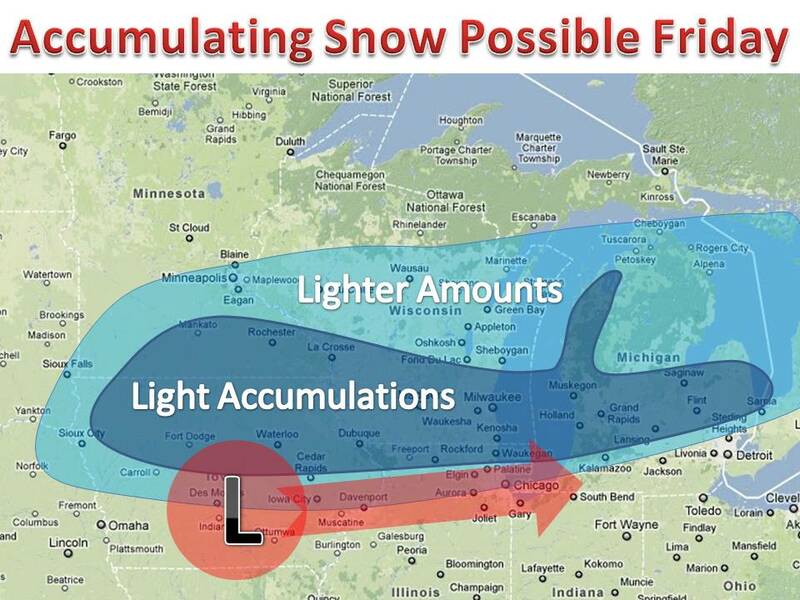 I would say that a general 1-3" can be expected in the "hardest hit" areas. Models are not in complete agreement on when and where this band will set up. The darkest blue on the map indicates the most likely area of 1-3". Lake enhancement will likely occur in western Michigan either way. 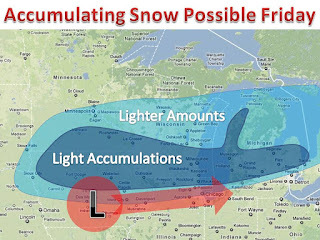 Keep it here to midwest weather talk for more updates!